Do Dog Kennels Need to Be Covered with Some Type of Tarpaulin? Its certainly not a close guarded secret. The majority of Americans, us included, have great affection for dogs. As such, theyd never condone leaving their four-legged buddies exposed to potential danger without some form of protection and neither would we. Thats also why so many families have come to rely on dog kennels, pens and crates to house their pets, especially during the warmer months. Of course the heat poses dangers too. 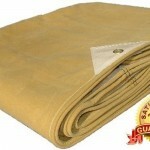 Consequently, many pet lovers wonder, Do dog kennels, pens and crates need to be covered with some type of tarpaulin? We advocate for everyone to accept the answer, Yes. Tarpaulins, in our experience, provide furry family members with some much-needed shade. Also, they may keep the wind, rain and light-weight, falling debris from accessing pets too. Although a selection of tarpaulins make suitable covers for pens, crates and kennels, we know most pet owners are going to want the best. So, they look for covers made specifically for their brand of pen, crate or kennel. However, not all dog product companies manufacture such covers. Thats where Canopies and Tarps cover experts step in. 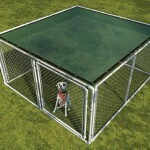 Theyve assembled a series of kennel coverings to accommodate pet housing situations of all types. Some of the kennel tarps even come with pole kits. 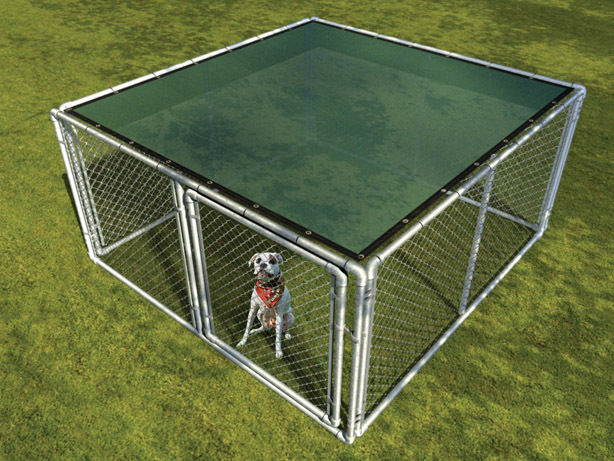 The pole kits boast reinforced areas to help keep pets from breaking lose as well preventing the loss of kennel covers during wind storms. The list of reinforced areas includes but doesnt end with the hardware, including tie-down grommets. And most beefed up models remain lightweight enough for quick transport and assembly. So dog owners may take the set with them should they need to move to a new home or business. To discover the right doggy approved tarpaulins for any given situation, please contact us now for expert assistance. This entry was posted in dog kennels and tagged dog kennel cover, dog kennels on May 17, 2016 by Canopies Tarps. The Atlantic hurricane seasons impending arrival always turns many Americans stress levels up a notch. However this year, even the most stoic storm veterans are feeling uneasy. Why? Meteorologists widely agree that recent events may cause this season to be a real doozy. With that noted, having a stash of vinyl tarps on hand is going to be more important than ever, especially for coastal property owners. Were not solely referring to standard tarps either. Theres obviously a need for triage tarps too. They differ from basic, vinyl tarps in valuable ways. For instance, the come in universal colors meant to signal certain things to rescue teams. Which universal colors are most important when picking out triage tarps? We recommend four colors to start. They are black, yellow, red and green. The black vinyl tarps, as you may have assumed, are typically used to mark off areas used as makeshift morgues. The other colors are designed to segregate storm victims based on the extent of their physical injuries. Examples include, but arent restricted to using the green ones to identify the least injured. Other colors beyond the ones weve already mentioned are also available. What are the other vinyl tarps for? In reality, rescue teams may use them for everything from building makeshift checkpoints to food and water distribution areas. And rescue teams arent the only groups of people who will benefit from having stashes of vinyl tarps around during hurricane season. Remember, vinyl varieties are excellent for finishing a number of post hurricane tasks. For instance, they could serve as tent footprints or storm breaks. 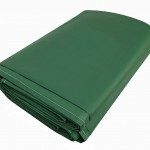 Vinyl tarps will also likely be helpful during cleanup and rebuilding efforts. This includes diverting water away from wind-torn holes in buildings roofs or walls. To find enough of them and other color-coded tarps before the 2016 Atlantic Hurricane Season hits, please contact us now. This entry was posted in vinyl tarps and tagged vinyl tarps on May 17, 2016 by Canopies Tarps. Its happened to all conscientious Americans at one time or another. We get an urge to spring clean the canopies covering our cars, motorcycles boats and other gear. So we drag out scrub brushes, strong chemicals, buckets, sponges and hoses. Then get busy scrubbing the life out of the canopies, literally. Afterward, we realize that our over zealousness for a clean covering has rendered the fabric absolutely useless. At that point, there is only one thing for the super clean to do and thats hunt for canopy top replacements. Canopy top replacements come sparkling clean right off of the delivery truck. So after setting the tops up, its simply a matter of keeping them that way. The easiest way to keep the tops clean actually starts with the fabric selection process. For example, if you live in a notoriously wet or humid area of the United States, chances are canopy tops will get covered in fungus of all sorts. 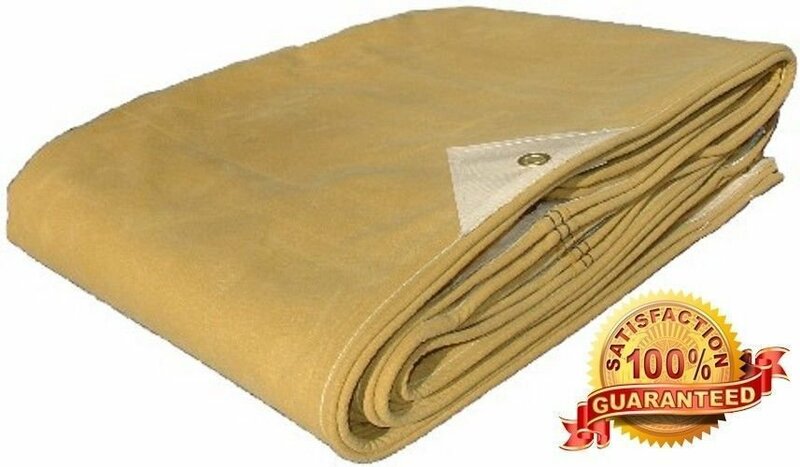 Therefore, its smart to choose tops that have been treated with anti-fungal products. Theyll frequently retard colonization long enough for sunlight and other materials to kill off the fungi for good. However, even the anti-fungal treatments wont be enough for some areas. Leaves and other organic matter contain dyes that will leave marks on canopy tops too. Thus, treating the tops with stain resistant products should be on Americans short lists as well. Good thing many canopy top replacements already come with treated fabrics! Treatment options generally include the two we mentioned plus others. The list of others typically includes water, chemical and abrasion resistant treatments. Also, we should note that there are cold climate options too (e.g. arctic flexibility). Theyre needed in areas where the temps tend to drop below 30 degrees Fahrenheit and stay there for extended periods. To find out about them or the temperate climate options, please contact us before you get the urge to clean. That way, we can have a replacement sent to you just in case. This entry was posted in canopy top replacements, canopy tops, Tarps and tagged canopy replacement covers, tarps on May 17, 2016 by Canopies Tarps. Trucks, in one form or another, have been motoring down Americas roadways since at least the 1800s. In the early years, people primarily focused on perfecting the vehicles engines. In later ones, the focus shifted to the beds and rightfully so. Beds are central to a trucks usefulness, especially if one plans on transporting goods. So what did people come up with to protect their trucks beds? 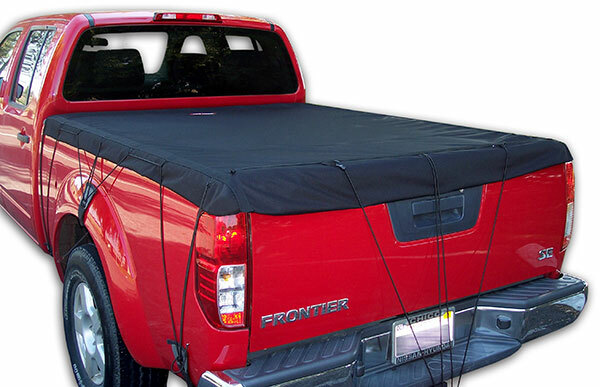 There are a number of methods used to protect a trucks bed. Among the most expensive are special inserts and spray or baked on liners. Of course not everyone can afford those modes of protection. Enter tarps. 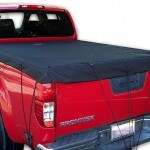 Tarps are perfect for the everyday man or woman who wants to ensure that their truck beds are in it for the long haul. Pardon the automotive pun. Why pick tarps over liners and inserts? We can name four good reasons right off the top of our hoods. Theyre affordable, simple to use and easy to get. Also, when folded, they can fit inside of truck cabs or built-in storage lockers. So in actuality the query becomes, Why not pick tarps over the other options? Because truck beds come in all dimensions these days, the tarps meant to protect them do too. Among the smallest truck tarps are ones that fall in the 07 x 09 category. They traditionally weigh 6-ounces and may be folded or rolled into compact units. The larger truck tarps (11 x 24) tend to weigh the same but may require more folding or rolling of course. And unlike their expensive counterparts, prices start at less than $20 each. With any truck tarp, hard-working Americans will also need to select tie-down systems. The systems, by the way, are inexpensive too. To discover how they work in conjunction with the best truck tarps in America, please contact us. This entry was posted in truck tarps and tagged truck tarps on May 17, 2016 by Canopies Tarps. National Good Car Care Month is motoring into view. Traditionally held every May, it marks a time when everyone should pay a little more attention to their four-wheeled friends. What kind of attention? Cleaning those car ports and portable garages are one task. And depending on how well the cleaning goes, maybe thinking about canopy top replacements might be in order too. Once the car and its storage area are in tip-top shape, there is one more thing to do. Grab pop up tents and hit the road. Why hit the road? Well, May is traditionally the kick off of car show season in all of the cold weather states. Warmer states may start their car show season beforehand. And with those shows come road rallies and other motorsport events that could only be made better with the right pop-up tent at your side. Which pop-up tents are perfect for motor touring season? Wed suggest ones that fit inside of average size trunks, truck beds or motorhomes under storage areas. They are the type of pop-up tents typically sold as packages. The packages often include a soft-sided case, collapsible walls, valance, poles and stakes. Of course packages arent necessary for those that dont mind buying or toting their pop-up tents piece meal. Pop-up tents for motor touring should also be visually appealing, so they draw attention at crowded venues. Not only will they draw strangers eyes to your baby, theyll make your tailgate site easier to find in overpopulated sporting events. The list of great tent fabric colors for standing out includes but isnt confined to bold yellows, fiery reds, bright whites and darker colors with contrasting, splashy graphics. For additional help finding perfect, Good Car Care Month tents, please contact us this week and ask for our auto event experts. This entry was posted in pop up canopies, pop up tents and tagged pop up canopies, pop up tents on May 17, 2016 by Canopies Tarps. We did it and so did out parents. Now our kids want to do it too. What are we talking about? Playing in the sand of course! Unfortunately, we know a lot more about sand boxes than our parents and grandparents did. Turns out, the boxes have the potential to harbor many dangerous things. And understandably, that has left many of us hesitant to let our kids enjoy the age-old activity. 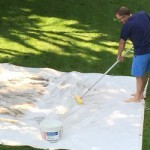 The good news is using canvas tarps may help make sand boxes safe again. Decades of research have shown that uncovered soil or sand attracts both wild and domestic animals. They in turn, bring pathogens with them. Sometimes the pathogens are on their bodies. Other times, theyre living in the creatures bodily waste and fluids. So clearly, using canvas tarps to keep the animals away from the boxes will go far in preventing the transfer of pathogens. 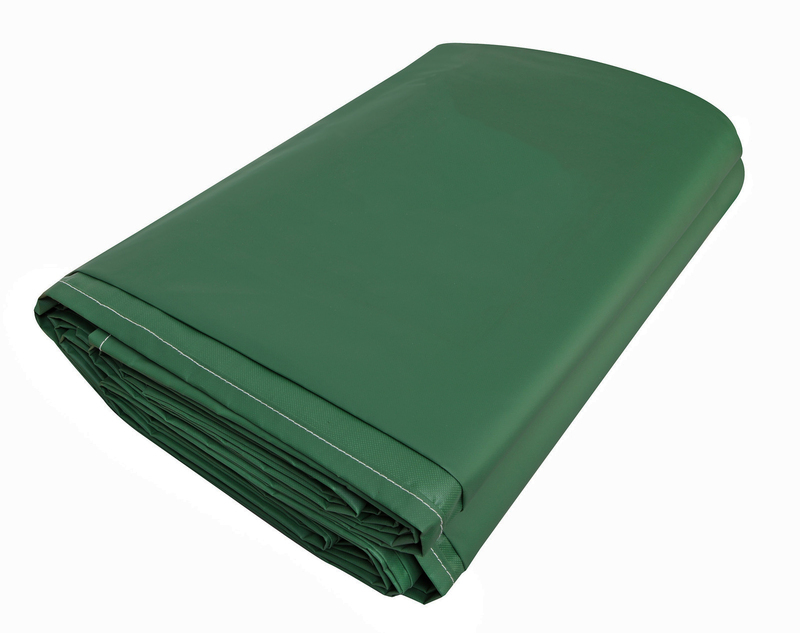 When selecting sandbox covers, choose military grade, waterproof, canvas tarps. They’ll protect the sand from more than just the animals. Oh, and dont neglect the built-in D rings. After all, animals curiosity will undoubtedly get the best of them. And when it does, theyll try to remove the canvas tarps. Having the D rings in place may keep them from being successful. This is certainly true if you use the D rings to tie the canvas tarps down to the ground. Securing D ring enabled, canvas tarps to sand boxes is rather simple. The quickest way is to invest in ball bungee ties and eye bolt screws. Attach the eye bolt screws to each side of the sand box frame. Then run one end of a ball bungee tie through the eye bolt and the other to the D ring. 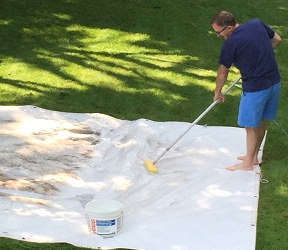 Continue doing this until the canvas tarp is completely attached to the sand box. To learn more about covering sand boxes with military grade tarps, please contact us today. This entry was posted in canvas tarp, canvas tarps and tagged Canvas Tarps on May 17, 2016 by Canopies Tarps.